Cosgrove Law Group, LLC is representing an individual that was severely injured by boiling liquid and exploding glass. The victim was severely burned when a French press carafe blew up during normal use. The good news is that a counter-height child was not in the vicinity at the time of the explosion. Because an adult of average height was operating the defective product at the time of the malfunction, the injuries were inflicted upon the adult’s torso only. The case implicates a rather fascinating area of science. 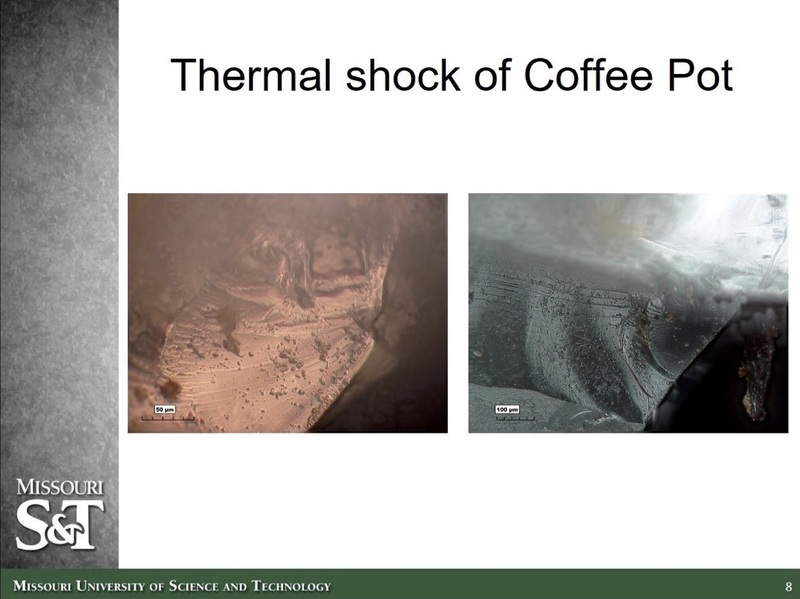 Glass fractology analysis allowed us to pinpoint the exact cause of the explosion – a manufacturing defect inside of the carafe - as opposed to operator/user error. If you have been injured in an explosion, particularly one in which your injuries were caused by glass or burns, please contact us. If we are not the right attorneys for your case, we will help you find the right counsel without charge. You deserve at least that much.